The tongue has a reputation of being the single human organ that gets us into the most trouble. While that usually refers to the things we say, the tongue is capable of meddling with our lives in so many other ways. Just to mention a few, it may propagate tension in your body, interfere with your breathing, and hinder your voice. But let’s not bad-mouth the tongue. After all, it’s a fascinating, multi-purpose muscular organ. Large as a fist, it has 8 muscle-pairs and impressive strength in relation to its size. Its primary purpose is tasting, helping chewing, and swallowing food. It’s also vital for articulating speech. So far, so good. Feeling tense? Relax your tongue! As the tongue is part of the involuntary or autonomic nervous system, it will be affected when you are under stress, scared, or upset. You may press it against your teeth or the ceiling of your mouth. You may also pull it down and back as in swallowing. Now, consider that the muscles of your tongue are attached to your jaws, your larynx (Adam’s apple), your soft palate, the base of your skull, and your pharynx (where swallowing takes place). As a result, any tension in your tongue is quickly passed on to other parts of your body. The upside of the tongue being so interconnected is that it can also serve as a trigger to relax your body and center yourself. Next time you feel stressed, relax your tongue, relax your belly, and relax your pelvic floor (stop squeezing your buttocks). Notice how the relaxation spreads and breathing becomes easier. The tongue is one of the most important sound-shapers above the vocal folds. We rely enormously on the space in our throat to provide boost to the sound waves that are created at the vocal fold level. This boost gives us power, clarity, and a rich tone. Tongue root tension will crowd and constrict your throat, leaving little space for that important boosting function. Sometimes, there’s such little space that the sound has to go out through the nose instead of the mouth, resulting in a flat, nasal sound. Tongue root tension may also pull and push your larynx around, making it hard to hit high notes and the accurate pitch when singing. Get it out of the way! 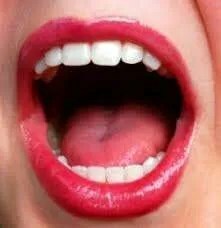 For speaking and singing, the starting position is with the tip of the tongue just behind your lower front teeth and its body resting like a carpet on the floor of the mouth. In this position, you are ready to articulate and you have an open space in the mouth and throat for the voice to resonate. Start by yawning a couple of times. Then place your thumb under the chin, just behind the jawbone and press gently upward. Gently massage the area imagining the tongue softening. Speak a few words and see what happens under the chin. There will be some movement but the tongue should stay relatively soft. Keep gently but firmly massaging the area under the chin and explore how you can make sounds and keep the tongue relatively relaxed. Finish by yawning a few times. 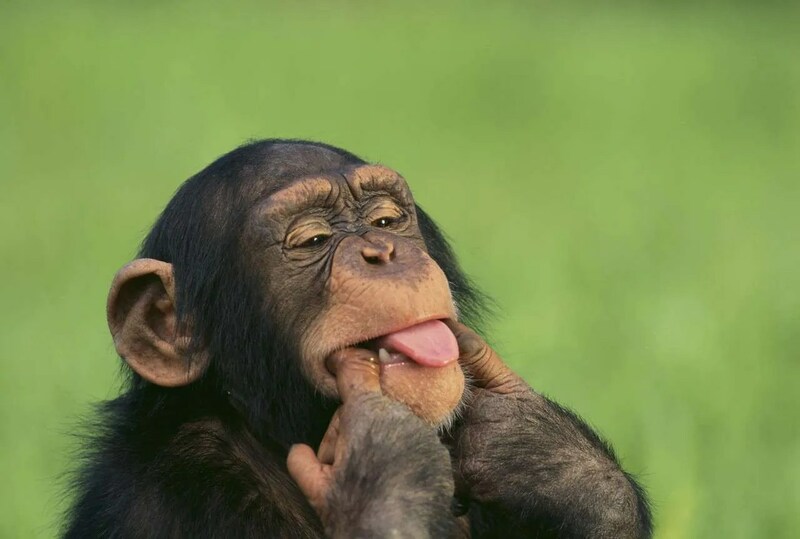 Put the tip of your tongue just behind your lower front teeth. Open your mouth and smile with soft surprise. Imagine a string attached to the middle part of your tongue and pulling it out out of your mouth while the tip stays behind the lower front teeth. With this image, roll the middle of the tongue our of the mouth and relax it back in several times. For video illustration, check out the Voice Guy. Open your mouth and slide your tongue forward so it is resting loose on your lower lip. Keeping it there, speak for a minute or two. You will not be able to articulate properly, but this is fine since we are focusing on relaxation. Finish off with yawning. If you would like to learn about other ways to boost your voice, join the Unlocking the Power of Your Voice workshop on October 2. I wish you a wonderful summer, filled with joy and sunshine!